Is anyone besides me having trouble believing it’s already mid October!! I have been sharing my Frugal Fall Décor which will end with a little Fall Décor home tour this week. . Don’t miss my Dollar Store Fall Copper Vase. You won’t believe what I did with a pot scrubber! I hope you’ll pop over and take a peek. It’s the last two weeks of the Halloween Spooktacular Link Party! 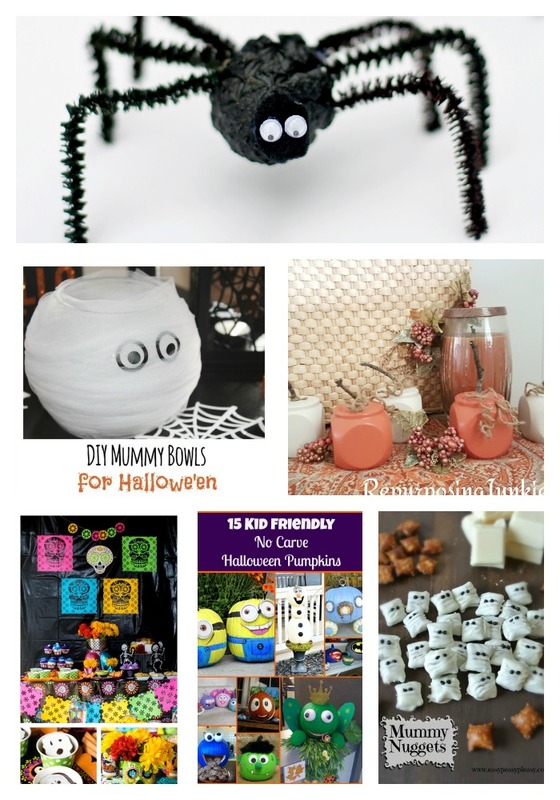 Have a Halloween craft, DIY project, costume tutorial, fun party recipe? Share it on the 2015 Halloween Spooktacular Link Party! Open until October 29th. More Fall side dishes & desserts. Share on October 18th to be featured on October 25th party. 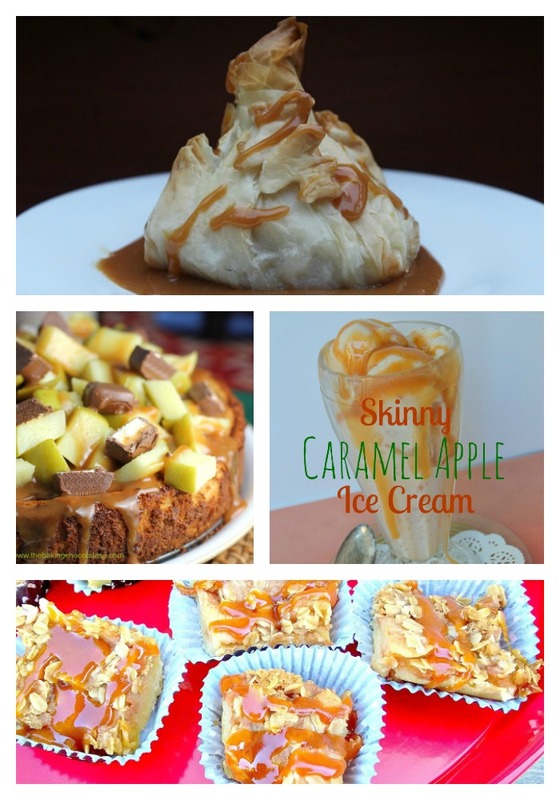 Share fall desserts on the October 25 party to be featured on the Nov 1st party. Meet Quinn from Dad Whats 4 Dinner, one of our new Co-Host for the next two weeks. Hi Ladies and maybe a few gents. I’m Quinn from Dad Whats 4 Dinner. 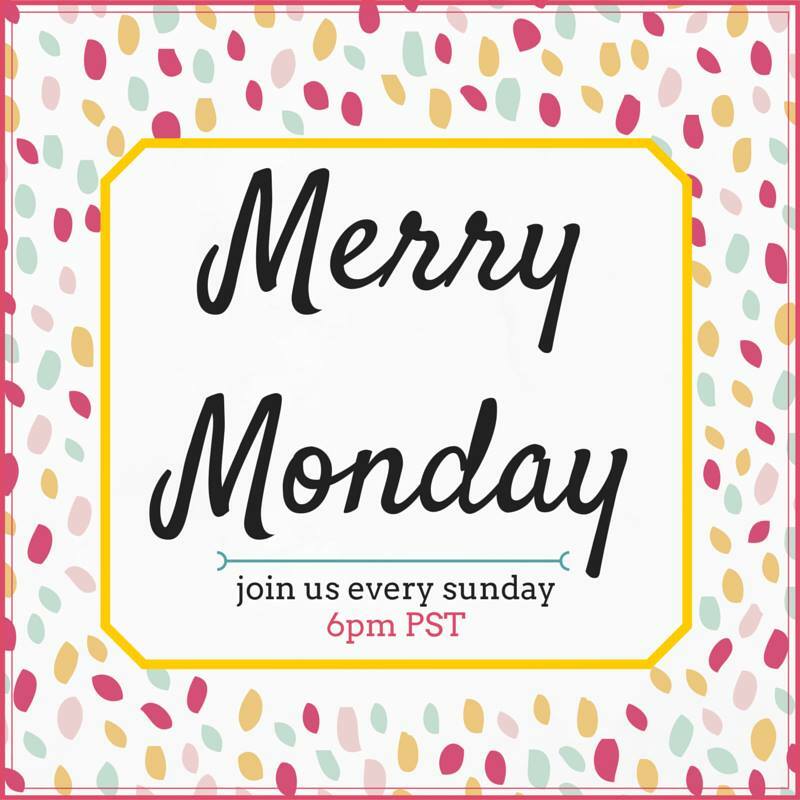 Thanks to all the MM hosts for allowing me (a dad) the chance to co-host Merry Monday. I am the father of 3 kids (16,13,11) and have a wonderful wife of almost 24 years. Live in Ohio where I love to cook, grill, create and bake. I’m not afraid to try my hand at any recipe. My blog is geared to the everyday busy family, Mom or Dad doing the cooking, who strive to put good food on the table on a daily basis. I try to make the ordinary extraordinary using simple ingredients and keep it as healthy as possible. Meet Cristina from A Bountiful Love, our second co-host for the next two weeks! I’m a stay at home mom of two girls, happily married for 7 yrs. I love to cook and bake but despise washing dishes, I blog about budget friendly meals , I love sharing ways to be smart and frugal. I also share educational resources and tools because I am a huge advocate of literacy and educating young ones..at home..where it should always start. When I’m not busy chasing and goofing with the girls, you can always find me busy in the kitchen. Meet Tracy from The Conservative Mommy, our third host for the next two weeks! The conservative mommy has her master of social work with a career working with substance using adolescents, behavioral concerns in children, attachment parenting, and training of professionals. After almost a decade of counseling children and families, she is now a mommy! The conservative mommy wants to talk to you about all things mommy; from instilling values in your little one to making tough parenting decisions to setting an example in your everyday living! Join the conservative mommy daily at theconservativemommyblog.com. Halloween is only 2 weeks away, so here are more Halloween features. Oh, and did you know it’s Caramel month?! We’re celebrating with a few of our favorite caramel posts. 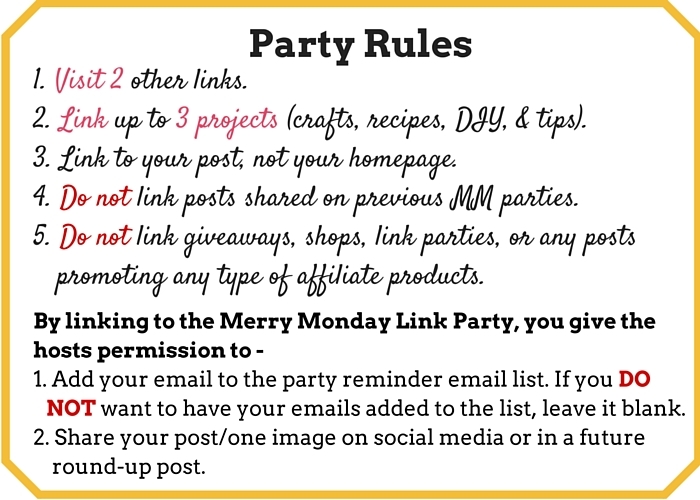 Thanks so much for hosting another great Merry Monday Party. 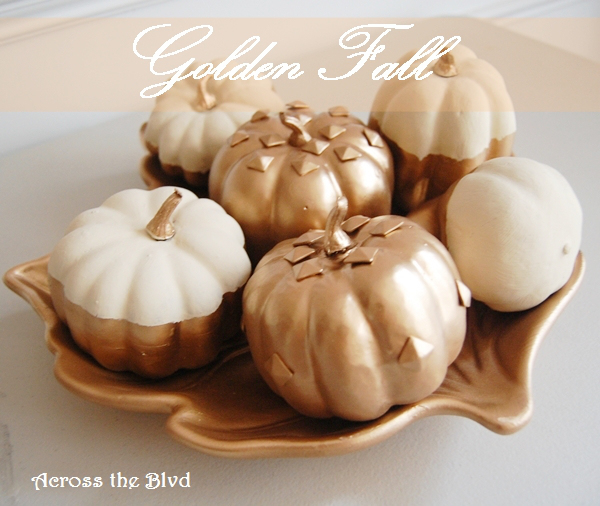 I’m so excited to see my golden pumpkins post was the most popular from last week! I hope you have a lovely week! Thank you for the wonderful opportunity to share my posts and those of your awesome readers! I hope to see you at #AnythingGoes! Have a great week. Thanks for hosting the fun party and have a nice week! 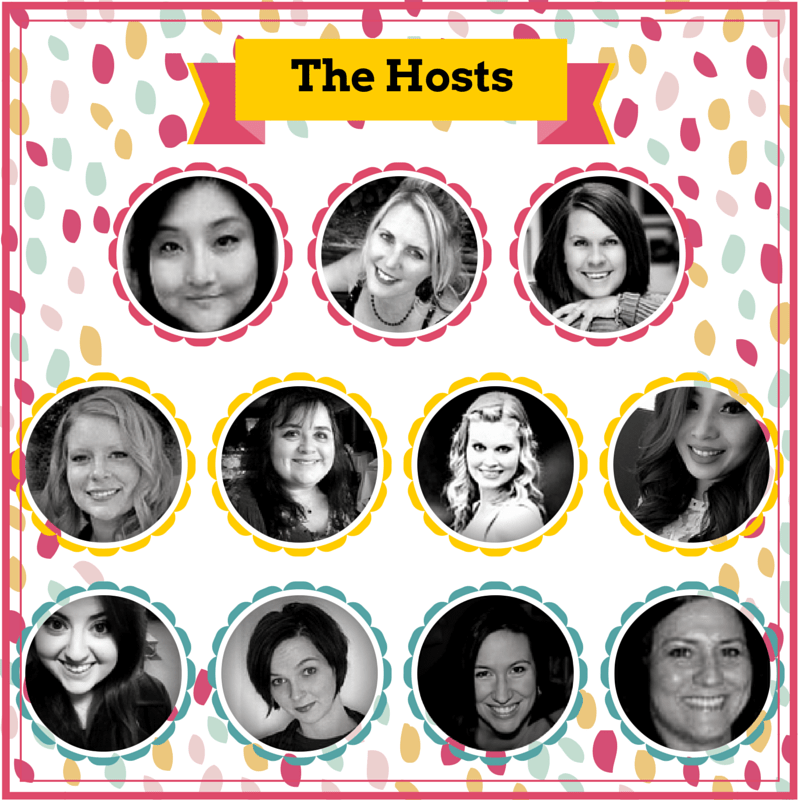 Thank yu for hosting this great link up and featuring my Candy Corn Corn Cupcakes.